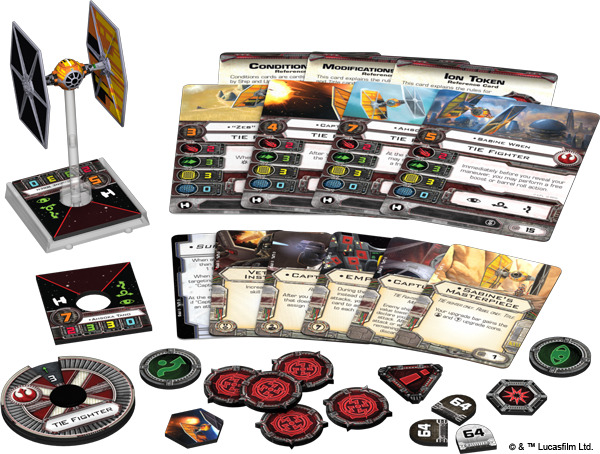 Another big announcement coming out of Gen Con. 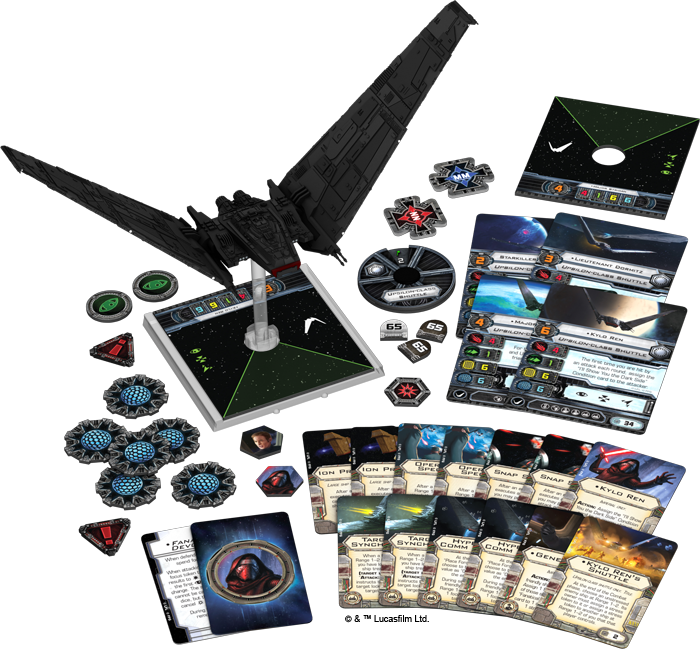 Fantasy Flight Games has posted up what will be the 10th wave of ships coming out for the X-Wing Miniatures Game. Once more, they tap into some of the newer Star Wars properties, by taking ships from Rebels and The Force Awakens. 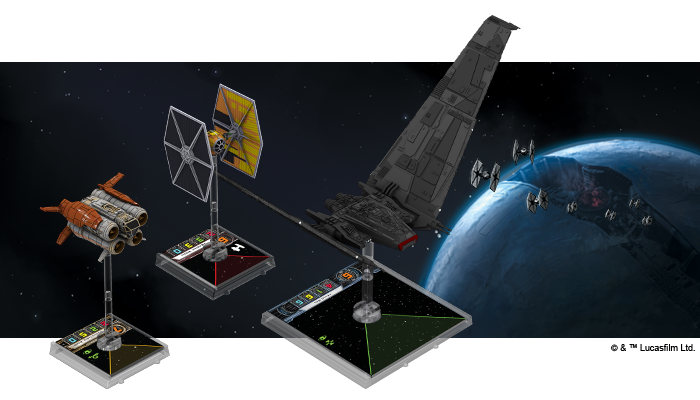 So, this time around we've got Sabine's TIE Fighter, which promises to be more than just "A TIE fighter with a bright paint job." 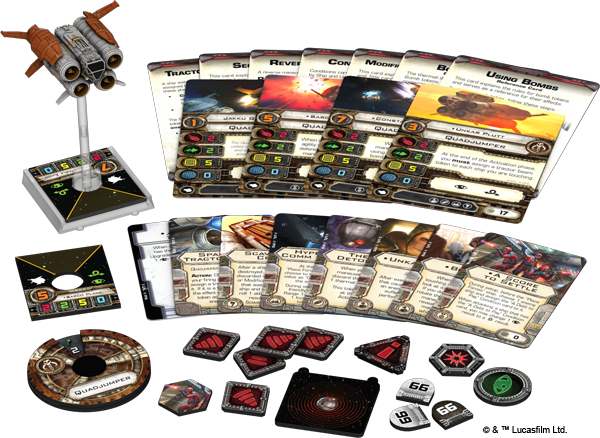 Then there's the Upsilon-class Shuttle, which hopes to bring you back to the opening scenes of The Force Awakens. Finally, we have the Quadjumper. Sure, it was sort of DOA when it was in The Force Awakens, but now you get a chance to see what it looks like when flying and not being blown up. You can expect further previews as we get closer to their Quarter-4, 2016 release.